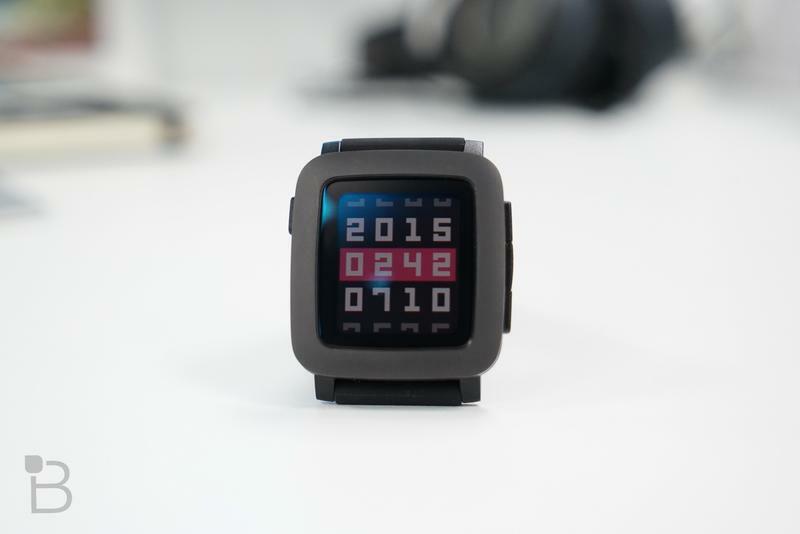 Pebble Time review: Can the Time withstand competition from Apple and Google? 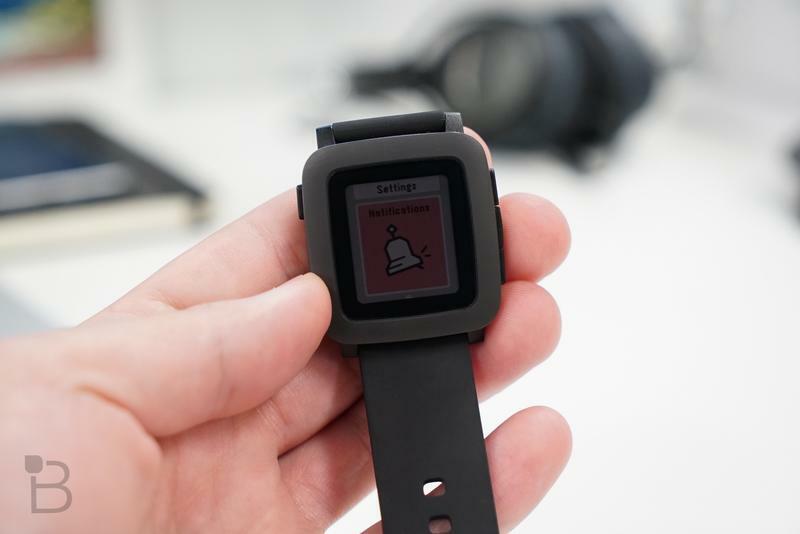 When smartwatches were only a dream, Pebble came out of nowhere to introduce a watch that actually had a brain. 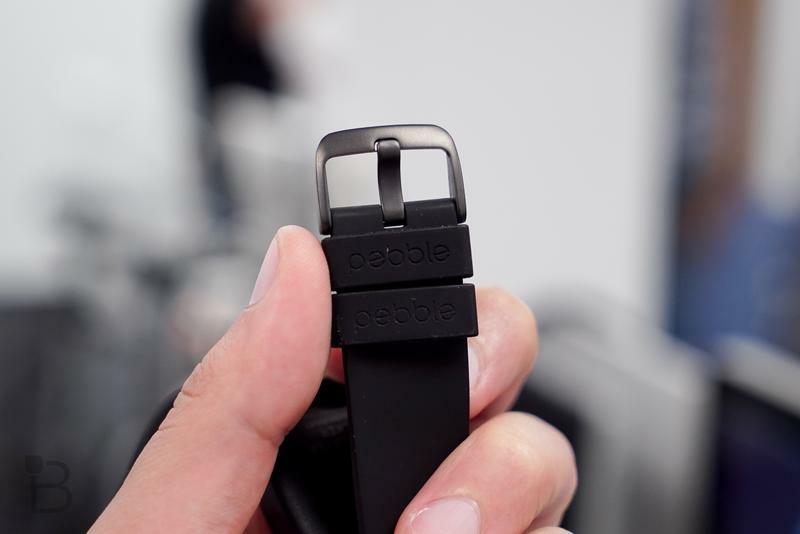 And for the past few years, Pebble has quietly been the most well-rounded wearable company out there, offering a strong lineup of devices that gives users exactly what they want: that is to say, smartwatches that feed users notifications. 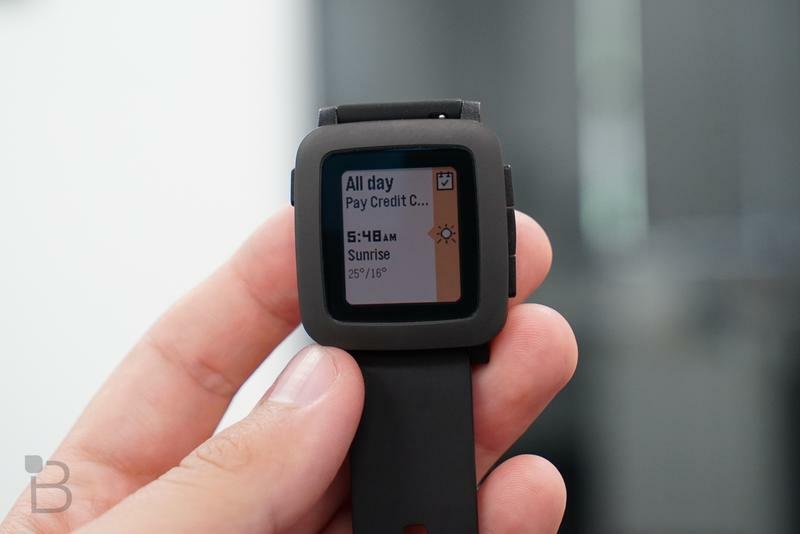 The Pebble Time, the company's newest wearable, does exactly that, offering a fresh UI, stronger design and more features than ever. But is that enough to stave off the mounting pressure from Apple Watch and Android Wear? 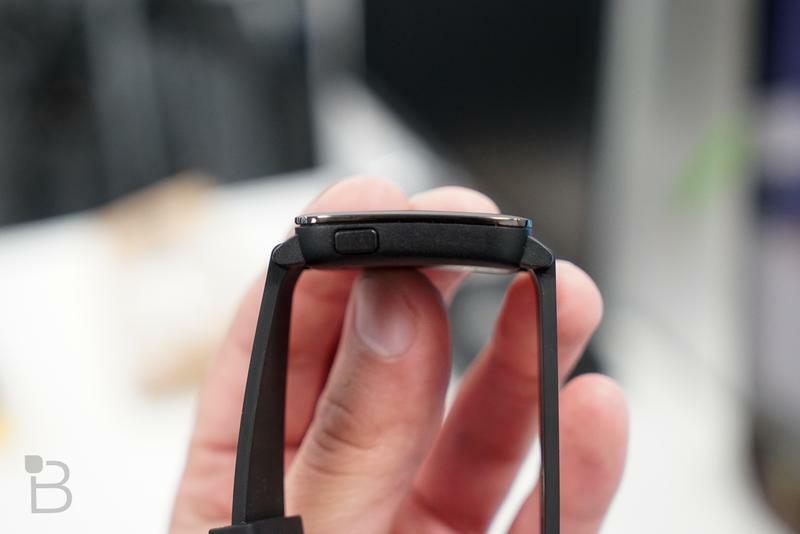 That depends on what you're looking to get out of your smartwatch experience. 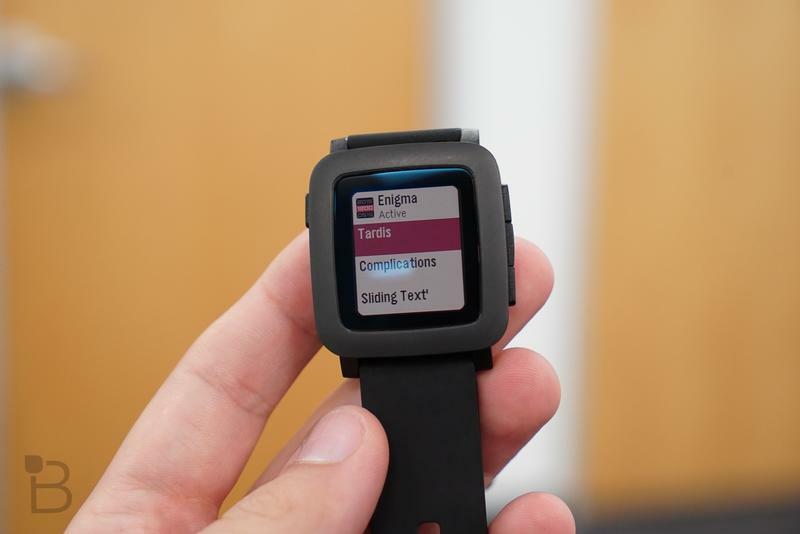 Mark used the Pebble Time for a few weeks, and came away impressed by the experience as a whole. But it's clear that the experience can't quite match what's being offered by its contemporaries. And, much to our chagrin, the watch's design still reminds us of a Playskool toy; maybe that's just us. 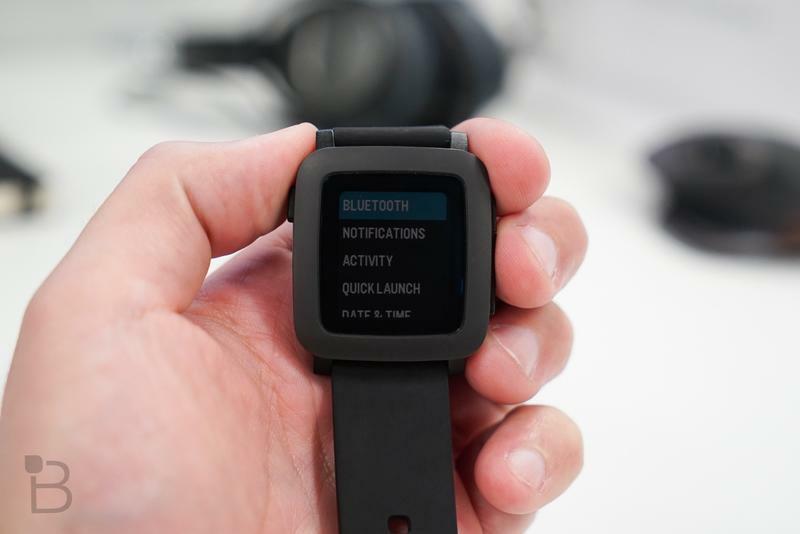 For what it's worth, we think the Pebble Steel wins as the most premium-looking smartwatch in Pebble's lineup. What's particularly noteworthy about the Time isn't its design, or even its redesigned UI. 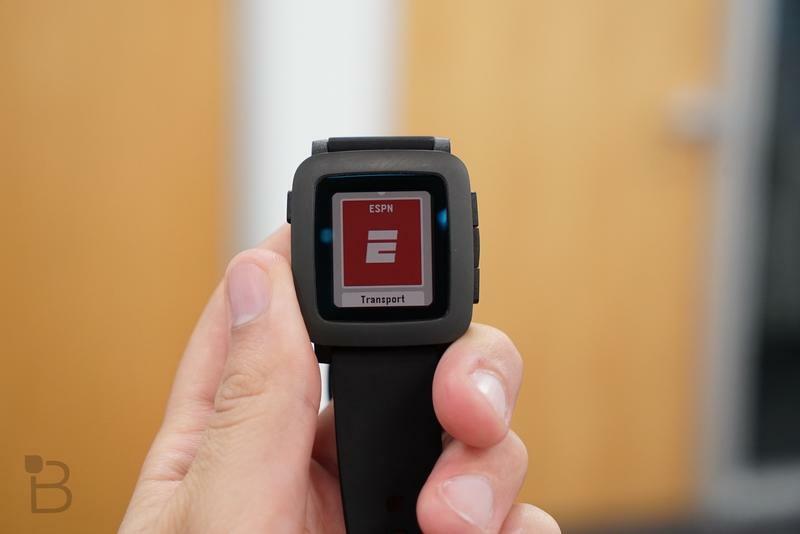 What most people will take away from the Time's existence is that it comes with a 1.25-inch e-paper screen, which is an upgrade for Pebble users. Compared to what you'd find in competing devices, however, the e-paper display doesn't quite match the eye-popping quality of an OLED. The advantage of an e-paper screen is that it's always-on, which means you don't need to flick your wrist or gesture in order to see what's on the display. Instead, you're always treated to the time, which brings us to the second advantage: it's easy to see under bright light. Unfortunately, seeing the display in low light conditions is more of a challenge, even with a back light. 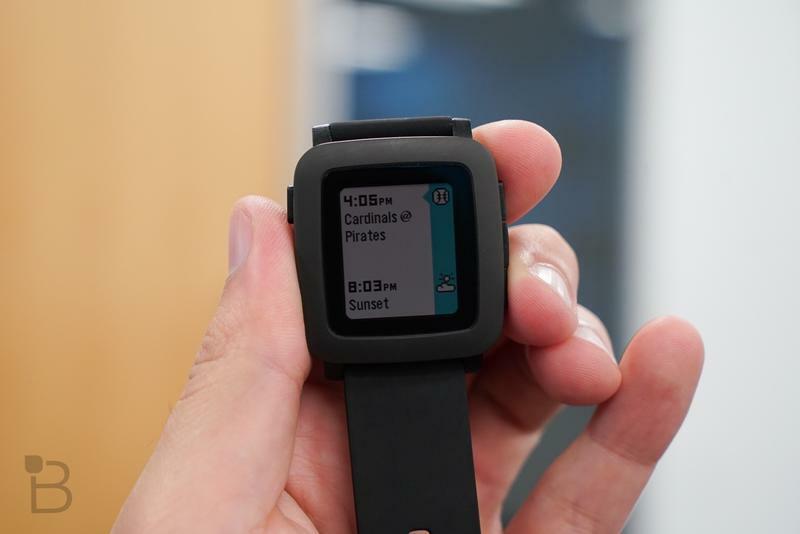 The other big feature of the Pebble Time is the new Timeline approach to UI design. There are three buttons on the watch's ride side: one for past, one for present and one for future. Jump into the future, and you'll see upcoming events throughout your day, such as appointments, reminds, alarms and more. Jump back, and you'll see what you've missed, completed goals, and so on. Pressing the present button will show you deeper layers of stuff like weather. Timeline is pretty easy to understand, and you get used to it pretty quick. The only disappointing part is that the buttons you press hundreds of times can be finicky—sometimes too stiff to feel like you're actually manipulating what's onscreen. 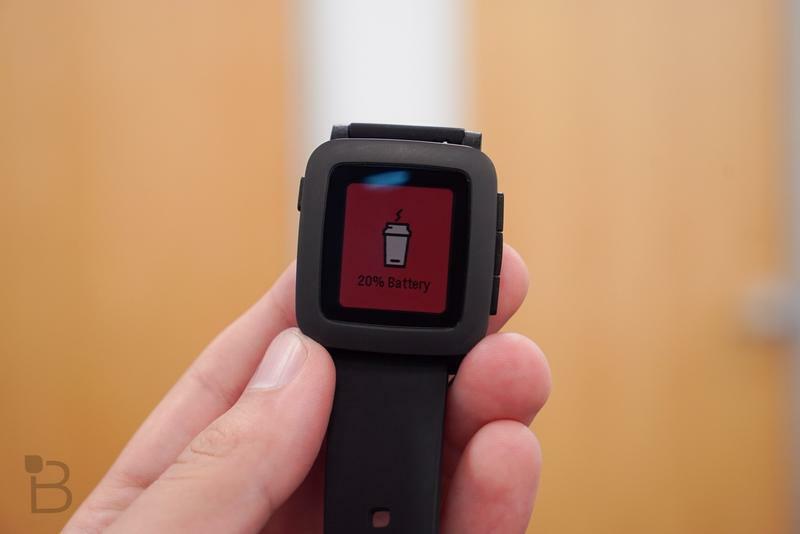 That's the joy of using the Pebble Time though. While the hardware isn't the greatest, it's easy and fun to use, making for a mostly enjoyable smartwatch experience. And it's compatible with both iOS and Android, though you'll get a most robust experience on Google's platform. 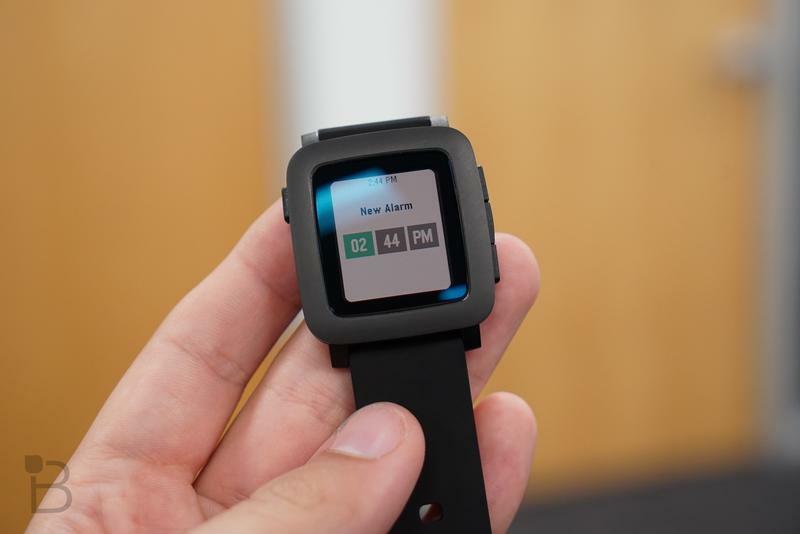 There are a lot of alternatives on the market, which means the $199 Pebble Time has more competition than ever before. 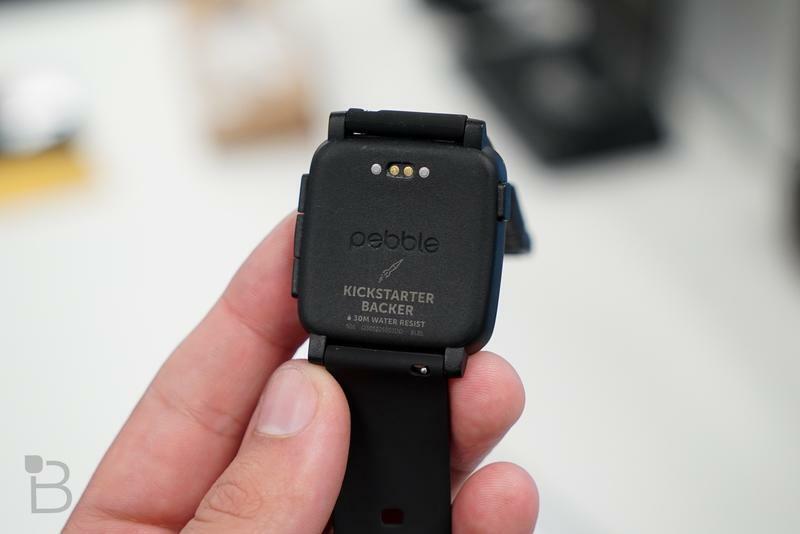 But longtime Pebble fans will find that the Time is a great tool to get notifications, and that market-leading week-long battery still can't be beat. If that's all you want out of a smartwatch, then the Time is worth checking out.